As part of Hitachi’s Installation Series, the CP-WU5506 combines WUXGA 1920 x 1200 resolution with super-bright 5,200 ANSI lumens white/color light output for a stunning visual achievement. It can transform classrooms, lecture halls, and auditoriums into true learning centers. 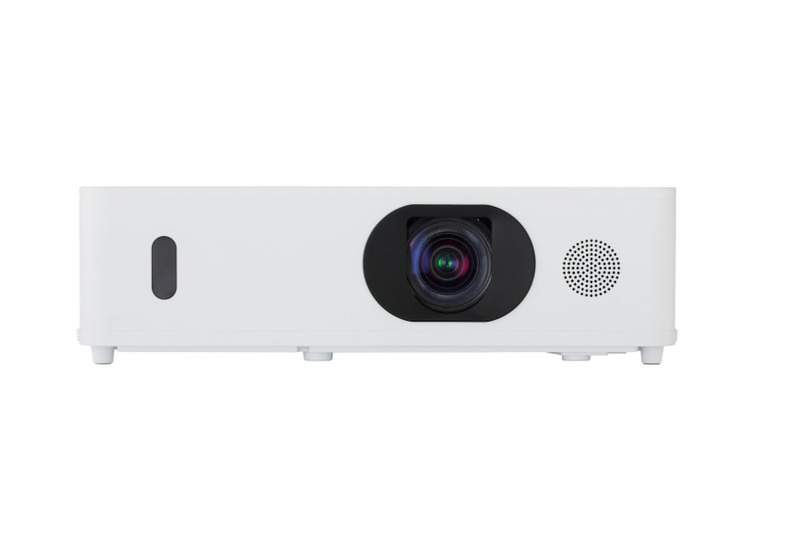 The CP WU5506 is easily stackable which enables you to place one projector on top of another to project the same image from both onto a screen for added brightness. 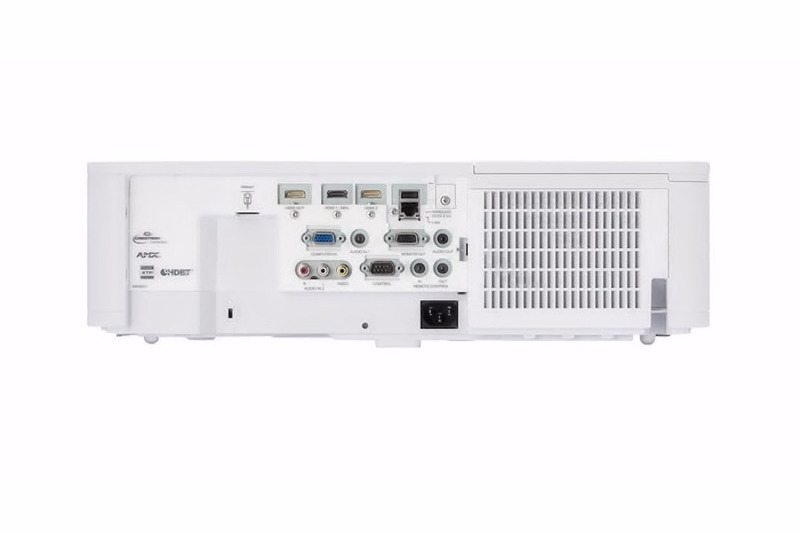 Incorporating Hitachi's leading-edge technology, the CPWU5506 projector features an image-enhancing combination of Accentualizer, High Dynamic Contrast Range (HDCR) and Image Optimizer, all of which contribute to the overall visual experience. Plus, Hitachi’s Intelligent Eco and Saver Modes with ImageCare combines optimal picture performance with maximum energy savings for a lower cost of ownership. For added peace of mind, Hitachi’s CP WU5506 is also backed by a generous warranty and our world-class service and support programs. Hitachi original technology makes pictures look more real by enhancing sharpness, gloss and shade to make pictures as clear as pictures on a flat-panel device. You can also adjust the effects by three levels according to your surroundings so that the colors of projected images are the actual colors of the objects they represent. The DICOM (Digital Imaging and Communications in Medicine) Simulation Mode projects grayscale images which approximate DICOM Part 14 specifications. This mode is ideal for viewing grayscale medical images, such as X-rays, for training and educational purposes. Projectors are equipped with the Edge Blending function that achieves the seamless projection of one image using multiple projectors. 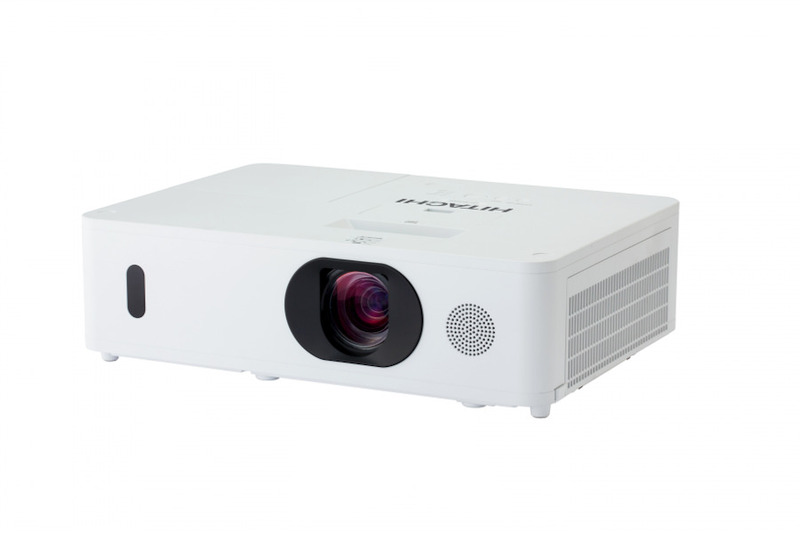 The WU5506 projectors come with various blending functions that meet the level users are looking for. Instant blending: Easily perform blending processing without the use of any special equipment. Warping is possible from your computer by using the specialized application. Projection is possible on spherical surfaces and surfaces with corners, as well as conventional flat screens. 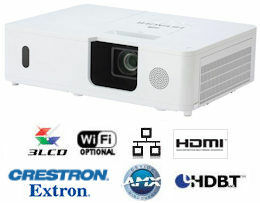 When average projectors are used in bright rooms, the darker colors of an image deteriorate and images become unclear. Using this function, blurred images caused by room lighting or outside light sources are corrected, and an effect similar to increasing contrast occurs. This results in clear images even in bright rooms. The Image Optimizer auto-matically adjusts HDCR and Accentualizer to improve visibility as lamp brightness dims over time. Images from two input signals at the same time. Picture by Picture (P by P) enables you to compare two images side by side. Picture in Picture (P in P) enables you to display one image within another image. These functions are handy when you need to compare two sets of data or other material. Easily Stackable: Using the lens shift and the perfect fit you can easily stack two units for two times the light output. HDMI-Out: When sharing content on multiple screens by multiple projectors, HDMI-Out is used to bring the content signal from one projector to another. Perfect Fit: Enables the user to adjust individual corners and sides independent of one another. Perfect Fit provides vertical and horizontal digital correction of either barrel or pin cushion distortions. This feature helps correct geometric and complicated distortions. Perfect Fit allows the projected image to fit correctly to the screen quickly and easily. Wired and Wireless Switcher Solutions: Multifunctional switcher operates in conjunction with the receiver to provide expanded source selection and switching options for connected devices. 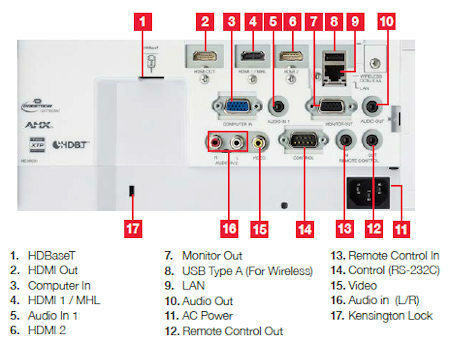 The switcher is sold as an optional accessory that can provide 1080p 30 fps wireless via WHDI for both video and audio. Lamps can blow, if you need your projector working and can't afford down time, you may need to keep a spare lamp. The replacement projector lamp for the Hitachi CP-WU5506 is the DT01931.